Towel ring / wall-mounted / metal - 0785-Z - American Specialties, Inc. 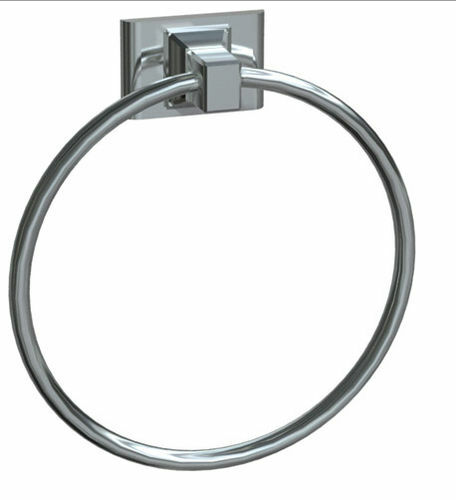 Kitchen & Bathroom > Bathrooms > Towel ring > American Specialties, Inc. Fabricated of triple chrome plated corrosion resistant steel. One stainless steel slotted headless socket set screw provided on bottom perimeter of flange for anchoring to stainless steel wall bracket. Mounting hardware also provided. Typical mounting suggestion is 52" (1676) AFF.